I have been meaning for some time to address the economical issue from an Astrological Mundane position. I mean, with all the bailout plans that we are hearing, the optimism in which the people have deposited in President Barack Obama, one would think that some change will take place, but this is unlikely. Why? Well, we can see it from the point of view of the economics. The US faces a challenging reality, they are in a grave recession, being the country with the largest debt and dependent on foreign capital to sustain its economy. The federal government alone operates with a deficit of 1 trillion annually. And if you add some additional goodies, (Medicare, Social Security), the amount is staggering, 60 trillion dollars. Does one have to be an astrologer to predict what is going to happen? Not really, but let us do so anyways. If we take the Aries Ingress chart for 2009, we see that the money from the commoners is in the II house, which is in Taurus, and Venus is in the I house. The people want to keep hold of their money. But it is in Aries, in detriment, out of sect, and retrograde. The lost of money or how it diminishes value. Mars, the ruler of the Ascendant is in the XII house and Ali Aben Ragel tells us that this means that there will be much crime and assassination and that much harm will come to the people and there will be much dispute. Having Mars peregrine and out of sect, just worsens the situation. Therefore, will crime rise due to the lack of money or wellbeing? The Ruler of the XII house is Jupiter, and Jupiter is in the XI house, house of hopes and groups, but she is in Aquarius, not strong and if we look what are they are hoping for, jobs, Saturn is in Virgo in the VI house, peregrine and retrograde. More loss of jobs most likely, in the automobile industry, communications, newspapers closing, and transportation. We should be hearing of this sometime in May. All this will bring discord among family members, especially among fathers and sons. We should embrace ourselves for a very challenging period, which will be; May, June, July and August. Be prudent, and tell our loves ones to take one day at a time. It’s interesting that John F. Kennedy, in one of his speeches referred to the word crisis and what it meant in mandarin. He said that it was made of two characters, one meant danger, and the other meant opportunity. Let us look beyond the danger and see what opportunities lay ahead. However, this brings us to another stoical question. Are we living in a freewill world or is this destiny, which unfolds the raft of Tykhe, bearing us from all fortune. I will leave the answer to you. But beware, the Moon trine to Saturn brings false judgment. Once again, President elect Obama has another secretary which has not had the “luck” expected. As I noted in my past article, Prediction Foretold? 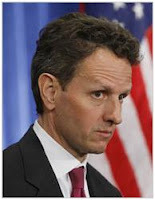 - Richardson quits as Obama's Cabinet pick, his secretary would not be well off, and this has been the case with the choice of Timothy Geithner, Secretary of Treasury. Euro Currency – Will it continue to show weakness? With the commencement of the new Czech EU Presidency, a new slogan was implemented with the three E’s; “Economy, Energy and Europe, Europe without barriers”. Will the EU Presidency be able to continue its strong hold on the European Economy? According to the chart, it should be the least affected, although each country will have its own taste of recession. But my prediction for the month of January, the initial tendency reflects that this month will not be easy. I cannot say that I succeded with this prediction, since he has not taken office as Secretary. But it is still an excelent indication of what's to come.